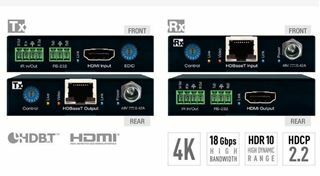 HDMI Extender Balun Set (4KHDR10 @60hz 4:4:4 18Gbps) over single Catagory cable. 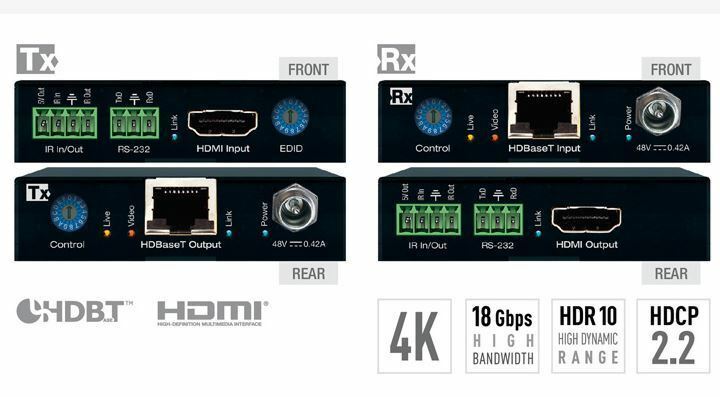 RS232/IR/ POH/HDBT. 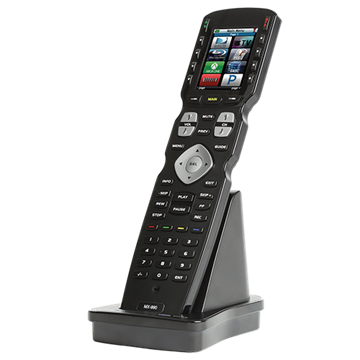 Power on eitherTransmitter or Receiver.4K up to 230 Feet, 1080P Up to 328 Feet. Flexible Power over HDBaseT: Only one power connection needed. Tx may power Rx, or Rx may power Tx. Control System Support: Fully controllable by all RS-232 supported control systems via open API: Compass Control® Pro, AMX®, Crestron®, KNX®, RTI®, Savant, URC®, Leviton® etc. 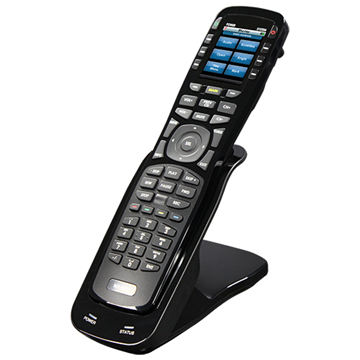 IR/RF PC Programmable Remote w/ 2.4" Color LCDScreen and charging base.